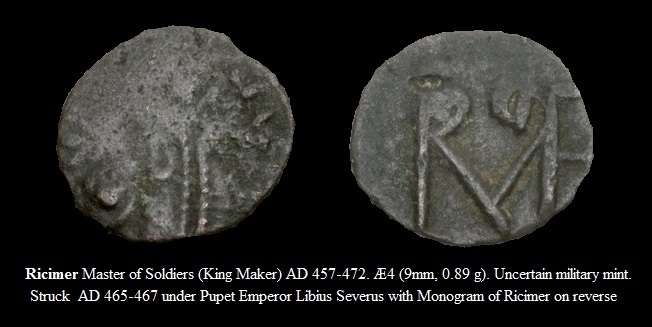 Libius Severus, an obscure individual of Lucanian origin, was proclaimed Emperor by Ricimer more than three months after the execution of Majorian. He was perfectly content to leave the government entirely in the hands of the barbarian general, unlike Majorian. Some of his tiny bronze coinage, nummi, even have Ricimer’s name in monogram form as the reverse type. 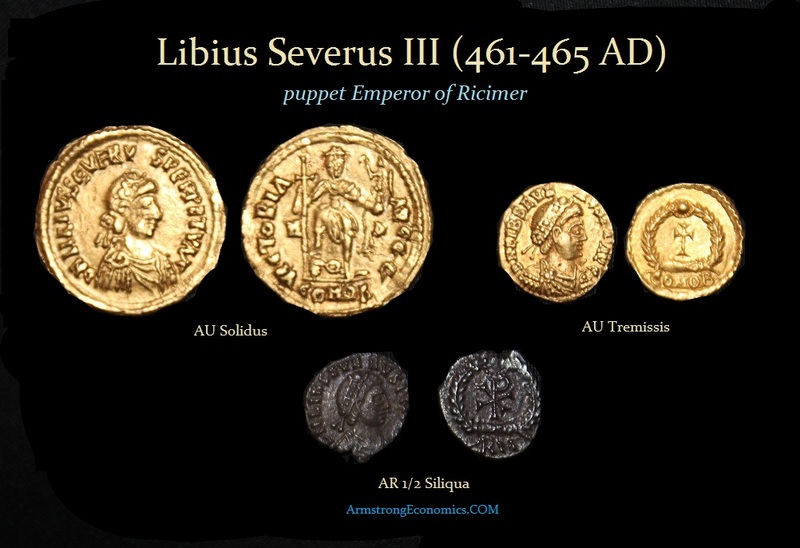 The coinage under this Emperor was issued in all three mediums – gold, silver and bronze. It is interesting to note that on one bronze issue, the reverse side bears the monogram of his master – Ricimer.